Although it may be a fact that newer properties run on lesser energy, the amount of emissions, especially CO2, released by homes and buildings are still considerably greater than it should be for our planet. 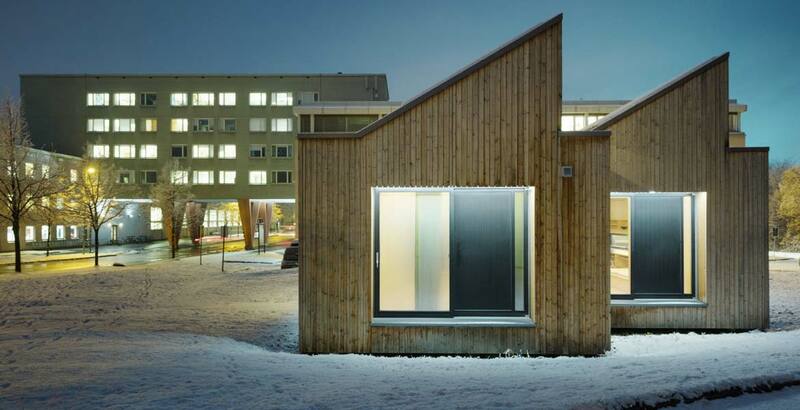 Funded by the Research Council of Norway, a separate, single-family, energy-efficient accommodation called ‘ZEB (Zero Emission Buildings) Living’ was developed on the Norwegian University of Science & Technology property by SINTEF researcher Ruth Woods and architect Luca Finocchiaro. This high-technology house was built with an aim to minimize energy consumption and emissions, have a self-sufficient supply of energy, and eventually reduce the carbon footprint. Woods, along with Dr. Marius Korsnes of NTNU, answered questions such as, ‘Can a high-tech energy-efficient house really feel like home?’ and ‘How does living in a building where we are enveloped by technology affect us? And how do we, in turn, affect the technology?’ with the help of this project. The main aspect of the dwelling was that it was constructed using the most advanced technology in order to accomplish the goal of having zero emissions. Heavily insulated walls, layered glass windows, radiators and a ventilation system were installed for keeping the space warm. This was important, as temperatures in Norway dropped to subzero in the winters. Purposeful furniture for spaciousness such as a couch, storage units and cupboards were placed in the living area and foldable beds against walls. Also, the roof was equipped with solar panels. All these fittings were designed in such a way to provide maximum energy savings that could be measured by sensors in different parts of the house. In the October of 2015, six groups comprising 16 people of various ages including children, adults and students, were in turn asked to live in the house for 25 days each, to measure impact of the house and people on each other. Apart from some temporary heating system dysfunction to which the residents adapted to by getting plug-in heaters or duvets, results showed that users made themselves comfortable. Consistent across all groups of occupants was, as Korsnes said, “They realized that their own homes were so full of things they really didn't need”, which in turn made them happy with their few belongings in the new home. The study was also a big contributor in helping people realize the seriousness of global warming and environmental issues. Research drawn from experiments and users have led to the conclusion that the system was a success as “living in a zero emission house was less technically demanding than they thought it would be” and disproving the preconceived notion that living in a house with such advanced technology will be difficult.